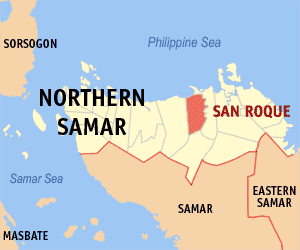 Sending money to your family in San Roque, Northern Samar should no longer be a problem now that SMART Padala is operating in this town. 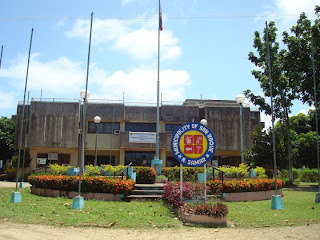 Banks and agencies like LBC, MLhuiller, and Western Union are just non-existent in San Roque; hence, whoever receives money through them has to go to Catarman -- Northern Samar's capital town -- to claim the money. With SMART Padala, the recipient can receive the amount in San Roque right after it is sent since the service is done through mobile remittance. If you're planning to use SMART Padala, you have to know Magkaru Store's Smart Money Number, for it is the only business establishment in San Roque that extends this kind of service. Magkaru, whose proprietor is Ms. Bles Morales, is located at San Roque's Public Market. Remember to get the control number after sending the money as your family will need this when claiming the amount. Yes I'd been hearing this easiest way of sending money to our love ones in San Roque and it's a good thing Blessie was able to establish this herself. I just hope people in San Roque just go straight to her store instead of going to Catarman wasting money and time. Maupay nga pamaagi!